Over a three-year period, this intimate film balances the honest emotions and real concerns of five diverse families as they navigate a new and often sudden terrain — that of caregiving. 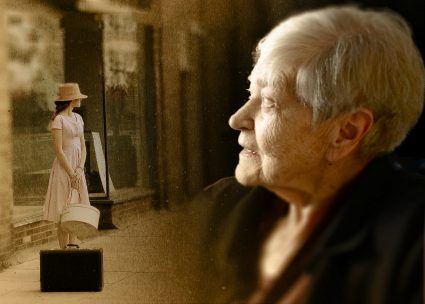 From early uncertainties to the realities of daily care (emotional frustrations, financial obstacles, and lifestyle changes), the film captures these families in the throes of caregiving — laying bare both the rewards and the challenges. The film also shares insights from the persons living with dementia, as well as, the children and spouses who are impacted by changes to the family unit. Interspersed with information to better understand the symptoms and effects of Alzheimer’s, and feedback from care professionals, this film is an upbeat look at the adjustments and compromises these families make as they learn how to care for their loved on with Alzheimer’s. A great film to share with professional caregivers, or anyone who is (or will be) caring for a loved one at home.